Discussion in 'Local / Regional Head-Fi Meets, Parties, Get-Togethers' started by Watagump, Feb 6, 2019. I decide to make this thread so we can get a head count and discuss meeting up for the Pizzafest Saturday night. Hopefully the mods don't mind having it here, things tend to get lost in the off topic area. So if you plan on coming, lets get a good head count and we can decide where we all want to go. I am still pitching in up to $200 for the group, so this thread is an open invite, lets have a great night of fun, food and just good company. If you are coming, post here, we will set up times etc later, I might even end up posting from my flight, free wifi on Jetblue. Here is the scoop on going for pizza. 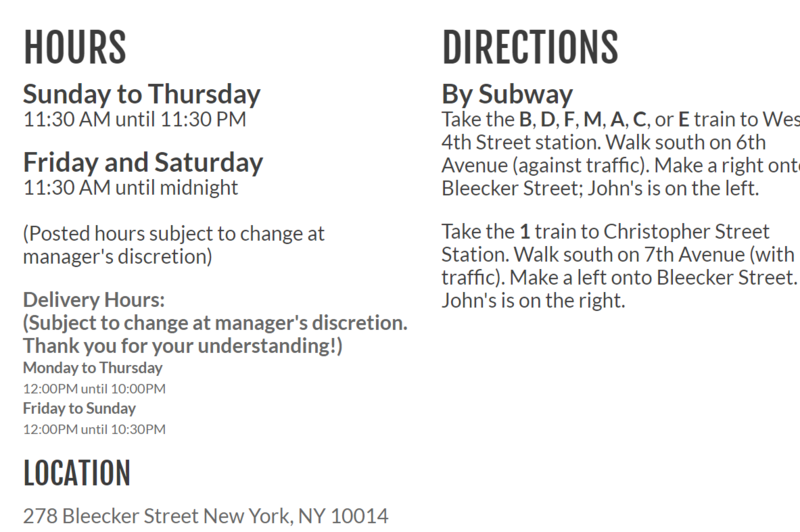 the location in John's On Bleeker Street, plan on being there at 7PM Saturday night. Its up to each person to decide if they want to travel on their own, or come in a group. I have people I will go with since I don't know my way around. You can stop by the Noble booth and we can decide also. Directions and info below. 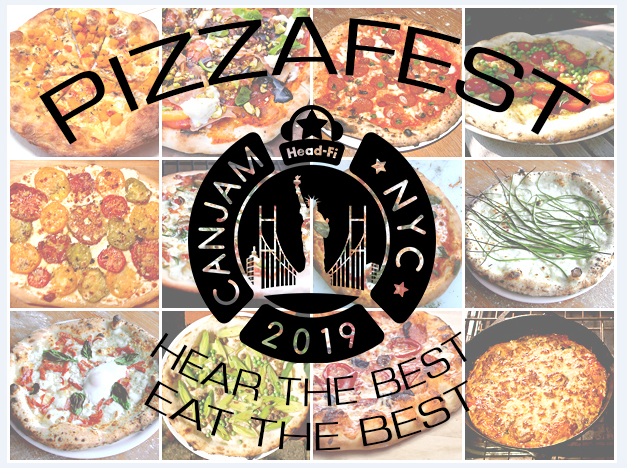 Oh yeah, seriously help out @Watagump at picking a great and pizza spot closest to CanJam. In real life, he is a super nice guy...but to put it nicely, I don’t remember him being the greatest sound check guy, especially in front of headphone/earphone/personal audio fans. What do you mean about the sound check part? Okay, maybe it was just my ears and just bad luck that a mic shrieks at +135db after being placed in your hand. OMG, CanJam the announcement, what a memory. Now you remember! Okay, so I will help with the Bon Appetit pizza competition. Yo, too scared to leave the hotel? Order online above for free delivery!!!! Joe's was on one of the videos I watched, it got #1 from them. The first link is giving a 403 forbidden. I did a flashback to the CanJam Socal 2016, saw the picture of your In n Out order with the animal style fries. The first link works fine for me and came up on a google search. Funny that now there will be an In-N-Out in the greater Houston metropolitan area. Now we need a Bad Habit burger site in Houston. Ask Joe’s Pizza about discounts wit-n-witout topping(s) and pass that info to Ethan/Joe/Jude. In N Out has been in the state of Texas for a while now. They will not build restaurants further than 300 miles from their patty making plants, so they have to have those first, then they start building the restaurants. Some day, maybe, they will take over the U.S.
Well, I am definitely coming and I'll be bringing my daughter Jasmine! Kinda quiet, I thought this thread would be hopping. You guys will need to organize three groups: those delivering (cheese, pepperoni, or decided pies), those carrying out (want a whole pie and cannot decide which one) and those staying (voted chip-in pie or just slices). Planning out a delivery area, dining area, and casual eating area in the hotel would also be a very good thing. Yo, you still too scared to leave the hotel? Order online above for free delivery!